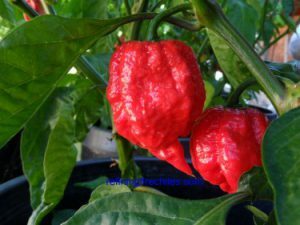 Moruga Red Monster-(Capsicum chinense)-The Moruga Red Monster pepper is a very large Moruga Scorpion type that I was told came from a grower in South America. 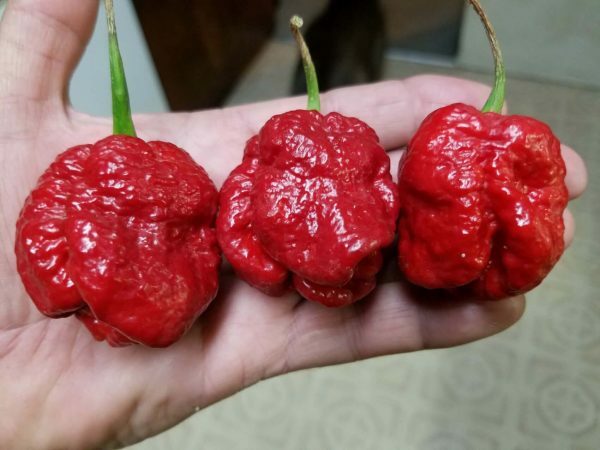 Grower Chad Soleski of Wisconsin created a cross with it mixed with a 7 Pot Brown. I wish I could tell you more about it’s origin. I dont’ know or remember source of my seeds. 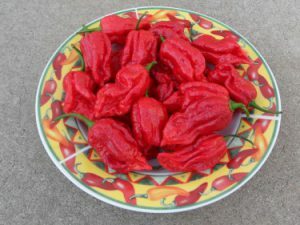 The peppers get larger than a golfball and are thicker skinned than the original Red Moruga Scorpion. 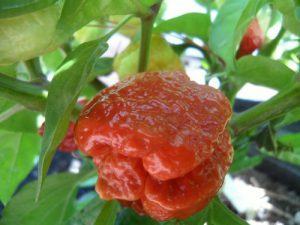 The flavor is floral fruity and the heat is devastating. 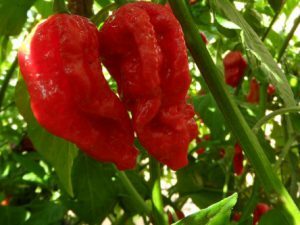 The Moruga Red Monster chile plants grow 3 to 4 feet tall.